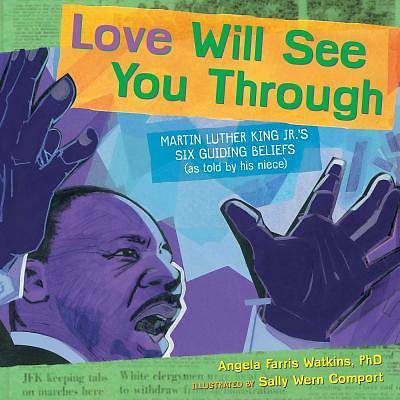 The niece of Martin Luther King, Jr. reveals six timeless and universal principles that encompass the civil rights leader's greatest legacy: Love will see you through. Growing up as the niece of Martin Luther King Jr., Angela Farris Watkins witnessed firsthand the principles and values that "Uncle M.L." practiced and lived by throughout his fight for equality. Drawing from experiences and episodes both personal and well-known, Dr. Watkins artfully details the guiding beliefs of one of the greatest men in history. Including "have courage" and "love your enemies," these six hallmarks of virtue and nonviolence reinforce the truth that "the universe honors love" and will inspire readers of all ages.